Los Gatos Condos For Sale: How's the Market? If you are thinking of buying or selling a Los Gatos condo or townhouse, it’s helpful to know what the market’s doing – that is, what are the Los Gatos real estate trends and statistics for the condo market. Today we’ll have a look at the Los Gatos condo market in terms of pricing, inventory, and days on market. We will study Los Gatos as a whole and broken out by zip code, and also by price quartile too. The data below is via Altos Research, to which I am a subscriber & so I have the right to use the charts & graphs here. (Note: Altos Research uses list prices, not sold prices.) The charts I’m uploading will automatically update, so if you pull up this post long after it’s been written, the charts will still be “live” and should be accurate. Generally, it’s been a year of some increases but overall decreases in list prices year over year (as of late October 2009). Interestingly, the 95030 part of Los Gatos was dropping this time last year (10-2008) while the 95032 market was mostly improving. I suspect that this is due to the cost of living: 95032 is simply less expensive. Fascinating to see what happened with the group that had been the second quartile and ended up at the bottom! The deepest decines in value (or pricing) have come in the highest price ranges. This is true in Saratoga and other high-end markets around Silicon Valley and in parts of San Jose (such as Almaden Valley) too. The 95032 patterns seemed to follow a more understandable path than 95030. In the 95030 part of Los Gatos, interestingly, the least expensive condos are taking the longest to sell. Why might that be the case? Here’s my hunch: most of this zip code is “in the schools” (enjoying Blossom Hill Elementary, Van Meter Elementry, or Daves Avenue School as well as Fisher Middle School and Los Gatos High). The least expensive homes often fall into one of two categories: seniors housing (Alberto Way, the Los Gatos Commons) or small, entry level condos with only one bedroom. Neither of these would require the highly regarded Los Gatos Schools. Conversely, in the 95032 part of town, it’s the most expensive townhomes and condos that are taking the longest to sell. A possible reason is that people who can afford a high end condo can also afford a single family home – and right now, the houses have come down so much in price that they are not as out of reach as they were in the past. Most likely, homebuyers are preferring to buy a house (perhaps in Cambrian Park or Willow Glen) rather than a costly condo. I just ran a little more info off of MLSListings.com, our MLS provider here in the San Jose area, and see that in Los Gatos (both zip codes) 26 condos and townhomes sold & closed in the last month, and there are 132 available today. That means there are 5 months of inventory, which is just a little into the seller’s market territory. Very very interesting that it’s approximately twice as easy to sell a condo in 95032 than in 95030. In most of Santa Clara County, the most affordable homes are the ones selling the best. That general trend appears to be in full swing here in Los Gatos among the townhouse and condo market too. If you’d like to sell or buy a Los Gatos condo or townhouse, please contact me. I’d be happy to have a confidential, no obligation conversation with you about your wants, needs and plans. 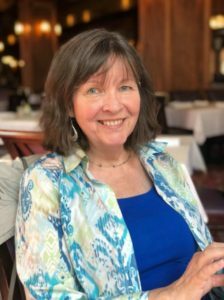 Although it can be a bit of a challenge to sell a condominium or townhome in Los Gatos, it’s not impossible if the pricing, staging, and marketing are all correct. The Condo Market in Los Gatos – How Is It? The Condo and Townhome market in Los Gatos is a mixed bag. Values are holding and appear to even be rising slightly, the “days on market” are short (a mere 14 days in November), and the list price to sales price ratio is amazing at over 101%. But just as with single family homes, the number of sales is way down. Is this seasonal or is it “the market”? As you can see, the 5 closings in November is the least number of sales over the last decade. Sales are way, way off. And, like with single family homes viewed the same way (see yesterday’s post), it’s about half of what’s average. If we look at the months of inventory, or the absorption rate, does it look any better? The condo market remains under 6 months of inventory, which is the point at which the National Association of Realtors would say it moves from being a sellers’ market to a buyers’ market. These numbers are much better than those for the single family home market in Los Gatos (which had 8.79 months of inventory for November – and those numbers appear to be rising steadily, wheras these numbers are up and down so they appear less predictable). 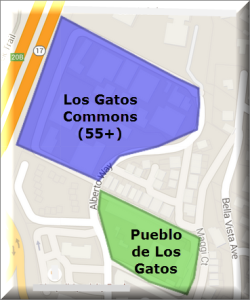 As of today, there are 5 pending condos or townhouses in Los Gatos (zip codes 95030 and 95032) and a total inventory of 26 available townhomes or condominiums in town. So approximately 20% of the homes on the market are selling. Those that do sell, sell fast and apparently for a great ratio. But that leaves 80% of the homes that aren’t selling at all. So all the good news about “fast days on market” and “great list price to sales price” is not very heartwarming to that 80% whose homes don’t seem to want to sell. In a market like this one, buyers are passing up homes (whether houses or lofts or anything else) with “issues” like busy roads, deferred updating, and of course especially overpriced homes. The property which is fixed up, in a superior location and priced aggressively – the gem, the deal – is selling fast. This is not a market to see if you can get a price. It’s a market for people serious about putting a home in top condition on the market, and pricing it to attract a buyer who’s frankly looking for a good deal. Your home needs to be that good deal to sell right now. Will it be better in the spring? Possibly. The market is really not bad now. There are always overpriced homes in less than ideal locations and with less than perfect condition that don’t sell because the price isn’t low enough to compensate for the problems. So don’t let the failure of some properties worry you about yours. Just get it in the right shape and price it for what today’s market will bear (not what you want it to be worth, not what you need, not what someone else told you it is worth). If you are buying another home after selling the condo or townhome, you are in luck. The market gets softer as you move up the ranks, and there’s a good chance you will make up for any felt loss on the next purchase. But hurry. No one knows whether it will suddenly become a different kind of market in the new year! Call me if you’d like to chat about your real estate needs. I’m around and working through the holidays with just a couple of days off near Christmas – and I have time to visit with you and strategize to help you get the best deal when selling your home. Wishing you and yours a very Happy Hanukkah, a Merry Christmas, and a Happy New Year (and anything else you might be celebrating in these days)!